The Monteverde Could Forest Reserve is located along the Cordillera de Talarán in the provinces Puntarenas and Alajuela in northwestern Costa Rica. In Spanish, the reserve is called Reserva Biológica Bosque Nuboso Monteverde. Founded in 1972, this reserve covers over 26,000 hectares of cloud forest – including a lot of virgin forest – and contains six different ecological zones. The biodiversity is very high. Among other things, 2,500 plant species and roughly 400 bird species are present here. The cloud forest environment is ideal for many orchids and there is a myriad of different species to enjoy wihtin the reserve. Sadly, the Chytridiomycosis pandemic has had a huge negative impact on the amphibian population in Monteverde, causing mass deaths. One of the victims was the endemic Golden Toad (Incilius periglenes), a species which is now considered extinct. In an average year, the Monteverde Cloud Forest Reserve recieves about 70,000 visitors. Data from the year 1980 show roughly 2,700 foreign visitors, a number that rose sharply in the 1980s and reached above 40,000 in 1991. 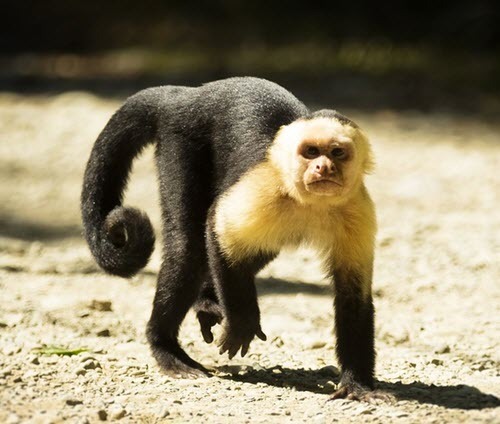 The reserve has a bus service that runs from Monteverde and Santa Elena five times a day. There is a lodge with room for 47 visitors. Trails run through the reserve, and there are also suspension bridges. center, and butterflies inhabit tree different habitat types here. This reserve is famous for its epiphytes, including many epiphytic orchid species. 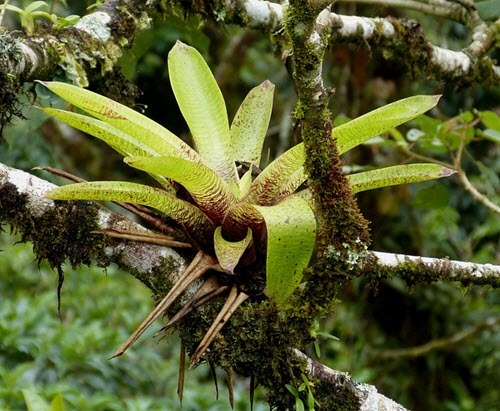 The epiphyte plants grow on the surface of other organisms in the reserve, such as trees, but aren’t parasites. Over 875 species of epiphytes have been identified in the Monteverde Cloud Forest Reserve. There are over 500 known species of orchid in the reserve, including 34 species that were unknown to science until they were found and described by researches visiting the reserve. One of the most famous species of this cloud forest is the Resplendent quetzal, who moves seasonally from low elevations up to its high-altitude nesting sites. It chiefly eats fruits, but also likes to catch and devour insects, frogs and lizards. Roughly one fifth of the bird species in the reserve are long-distance migratory birds that breed much further north and only spend the winters down here. Some live in Monteverde throughout the winter season, while others only pass through on their journey to wintering areas located even further south. Three examples of species that do the opposite – i.e. reproduce in Monteverde and move somewhere else afterwards – are the Piratic flycatcher, the Yellow-green vireo and the Swallow-tailed kite. Over 160 species of amphibians and reptiles live in this cloud forest. Sadly, many of them are being threatened by the same fungal disease that caused the endemic Gold Toad to become extinct in the late 1980s. In the 1950s, a few dozen Quakers (Friends Church members) migrated from Alabama, USA to this part of Costa Rica, where they bought land and engaged in small-scale farming. They called the place Monteverde (Green Mountain) since it was filled with lush green plants year round. In the 1960s, biologist arrived to Monteverde, attracted by the virgin forests and their amazingly rich biodiversity. In 1968, Dr. Joseph Tosi of the Tropical Science Center visited together with Dr. Leslie Holdridge, and they were guided into the Monteverde virgin forest by Quaker community leader Mr. Hubert Medenhall. The doctors told the Quaker community that it would be best if as much forest as possible could be preserved since that would protect the water sources in the area and serve as a windbreaker for the fields and homes of the community. In the early 1970s, the graduate student George Powell started working to protect the Monteverde forest and its fauna from poachers and land sqautters. Powell used his personal funds to buy out several of the squatters, and also got the Guacimal Land Company to promise that they would donate 810 acres of land if a suitable civic association was willing to take over the property. At the time, the Tropical Science Center (TSC) in San José was creating private preserves in Costa Rica, and in 1973, they purchased the 810 acres for a symbolical 1 colón. Two other driving forces behind the creation of the preserve was wildlife specialist Christopher Vaugh and the Costa Rican biologist Adeliada Chaverri. In 1975, the newly formed preserve attracted 431 outside visitors, most of them bird watchers or researchers. Two years later, a local Quaker named Mrs. Wood started a small bed-and-breakfast in her own home, to provide visitors with a place to stay over night and get some food.